Apple faces at least a dozen other demands by the Department of Justice (DOJ) to assist in accessing iPhones, according to a recent filing with a New York federal court. Those 12 cases are in addition to the one involving an iPhone used by Syed Rizwan Farook, who with his wife Tafsheen Malik, killed 14 in San Bernardino, Calif., on Dec. 2 before they died in a shootout with police. 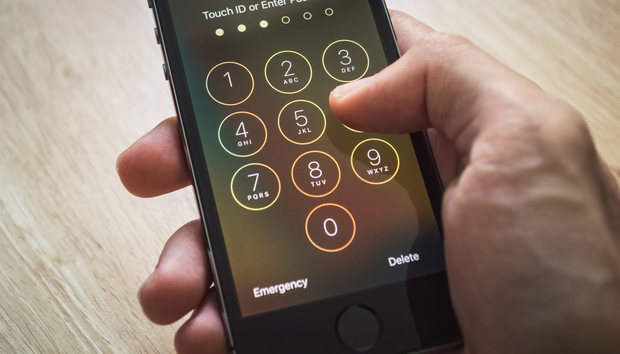 Apple is fighting a court order that compels it to help the Federal Bureau of Investigation (FBI) conduct a brute-force passcode attack on Farook's iPhone by creating a modified version of iOS. In all 12 other cases, the government cited the 1789 All Writs Act as the basis for its demand, as it has with the San Bernardino iPhone. Eleven of those cases were laid out in a Feb. 17 letter to U.S. Magistrate Judge James Orenstein, who is hearing a case that also involves the All Writs Act. In that letter, Marc Zwillinger, an outside attorney for Apple, listed nine cases in which authorities asked for the company's assistance during the time when the New York case was pending a decision by Orenstein, from Oct. 8, 2015 to Feb. 9, 2016. Two other All Writs orders, said Zwillinger, were made shortly before that span, on Sept. 24 and Oct. 6. A twelfth order was pointed out by the government in its own letter to Orenstein Monday. Orenstein is overseeing a case where the DOJ has asked him to make Apple help in unlocking an alleged drug dealer's iPhone. Unlike the magistrate in California hearing the San Bernardino case, Orenstein has not yet made a ruling. Even after the defendant in Orenstein's case pleaded guilty, Apple argued that the matter was not moot, and that the issue about Apple's assistance should continue to be heard by the court. "Apple has also been advised that the government intends to continue to invoke the All Writs Act in this and other districts in an attempt to require Apple to assist in bypassing the security of other Apple devices in the government's possession," Zwillinger wrote in an earlier Feb. 12 letter to the court. The dozen instances of All Writs Act demands bolster Apple's contention that the government has, and will likely continue, to use the aged law to compel assistance. "Law enforcement agents around the country have already said they have hundreds of iPhones they want Apple to unlock if the FBI wins this case," Apple said in a FAQ published Monday, referring to the case involving Farook's iPhone. Last week, Apple CEO Tim Cook also made the point that the government's demand that Apple craft a special version of iOS that would allow FBI access to Farook's iPhone 5C would open the floodgates to other such orders. "The government suggests this tool could only be used once, on one phone. But that's simply not true," Cook contended. "Once created, the technique could be used over and over again, on any number of devices." The DOJ has argued that what it's asked Apple to do for Farook's iPhone is a one-time deal. "[This] order is tailored for and limited to this particular phone," government lawyers wrote in a motion submitted to the San Bernardino case's judge last Friday. "Apple's speculative policy concerns regarding possible consequences from compliance with the Order in this matter merit little weight," the DOJ added in the same motion. Some outside experts have viewed the government's choosing of the San Bernardino case as calculated. ""This was a very strategic decision by the FBI," said Robert Cattanach in an interview last week. Cattanach is a partner at the law firm Dorsey & Whitney who previously worked as a trial attorney for the DOJ. "I think it was very calculated on the part of the FBI: 'Let's get a win here.'" Cattanach also wondered how the use of the All Writs Act would play out if Apple was compelled to assist the FBI, and in fact, did so. "It is a slippery slope," Cattanach said. "No one can predict how this precedent will be used next." For the dozen other orders, Apple "has not agreed to perform any services on the devices to which those requests are directed," according to Zwillinger. The DOJ put it differently. "In most of the cases, rather than challenge the orders in court, Apple simply deferred complying with them, without seeking appropriate judicial relief," the government said in its Monday letter to Orenstein. "In one case, Apple indicated that it would assist the government in accessing a passcode-locked device once the government provided it with a new copy of the order's language in a different format. "Only more recently, in light of the public attention surrounding an All Writs Act order issued in connection with the investigation into the shootings in San Bernardino, California, has Apple indicated that it will seek judicial relief, in that matter," the DOJ added. "Apple's position has been inconsistent at best."